There are probably a lot of answers to that question and, frankly, the reasons that STEM subjects lost their luster are not really important. What’s important is getting more children to feel the same excitement about STEM subjects that a previous generation felt when it learned that Sputnik was orbiting the Earth. STEM education is important because it can better prepare students to meet life’s challenges; but, even if students choose not to pursue a STEM career, it will help them to better understand the world around them. If you don’t think understanding the world around us is a problem, then you might not have heard about the results of a recent Pew Research Center study. Julie Beck (@JULIEEBECK) reports, “In general, Americans believe in science. A new report by the Pew Research Center found that 79 percent of the 2,000 adults surveyed think science has ‘made life easier for most people.’ Seventy-one percent think that investment in science ultimately pays off. But on certain hot-button scientific topics of our day, Pew found wide gaps between what the public believes, and what scientists believe. You can probably guess which ones.” [“Americans Believe in Science, Just Not Its Findings,” The Atlantic, 29 January 2015] A public that is skeptical about science is neither a healthy nor a promising situation for America’s future. If we are going to have a brighter future, we are going to have to rely on science and technology to help us address national and global challenges. So how do we get our children (all of them) to get more excited about STEM education? 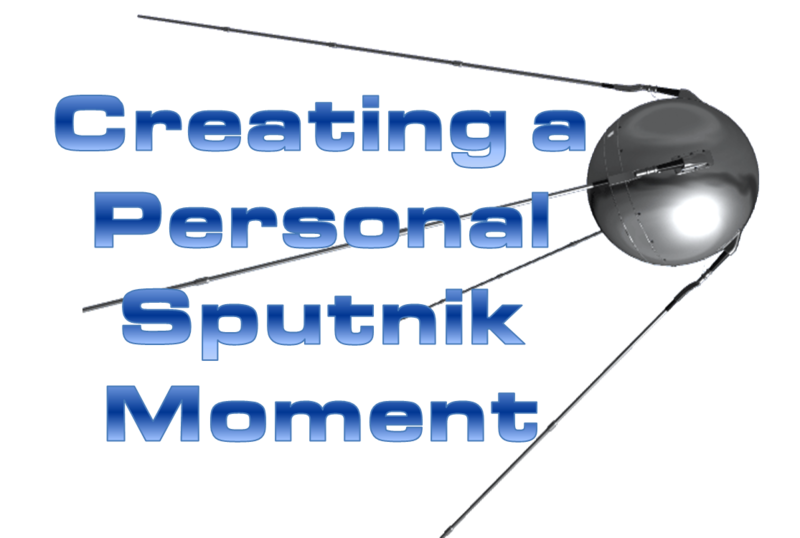 How can we create a Sputnik moment for them? I don’t pretend to have all the answers to those questions. Perhaps hoping for a global Sputnik moment is too much. Our best chance of getting our children interested in STEM subjects may be to help them have their own individual Sputnik moments. That won’t happen if they are stoically seated in a classroom being lectured to. No lights will flash. No bells will ring. No excitement will be generated. I believe the only way to provide children with a personal Sputnik moment is to get them involved in a project during which they see how what they learn can be practically applied. That’s why I, along with a few colleagues, founded The Project for STEM Competitiveness — to help get a project-based, problem-solving approach into schools. Because of the uproar, Governor Walker eventually backed off his effort to redefine education’s goal. I think that was wise. It’s important to stimulate young minds. I want to get students excited about education. I believe that a hands-on project-based approach to education can help achieve those objectives a lot better than sitting quietly in a formal classroom setting. At the moment, there are lots of interesting concepts concerning education being considered. Each of them is focused on making education more interesting, effective, and exciting. The hope is that one of those approaches is the right one to reach individual students and that through them students experience a personal Sputnik moment.